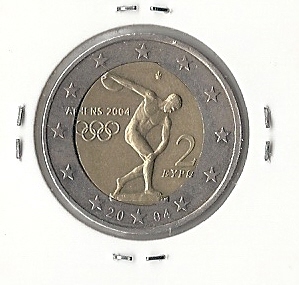 Above a nice 2 Euro 2004 from Greece with a off center planket. 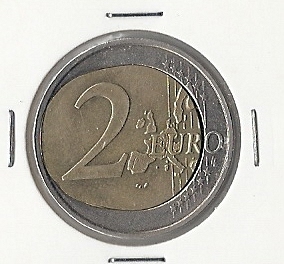 Images provided by Dimos, thanks to him for the nice images. 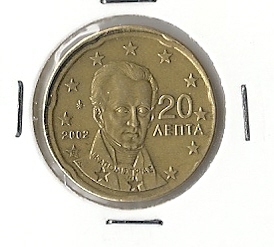 20 Eurocent 2002 from Greece with a off center strike.